Performers include: Steven Van Zandt, Trond Fausa Aurvåg, Steinar Sagen, Marian Saastad Ottesen, Sven Nordin, Kyrre Hellum, and Anne Krigsvoll. An over-the-hill American Mafia man requests relocation to the former Olympic village town of Lillehammer, Norway after he enters the Witness Protection Program. The underboss soon discovers that a life of crime pays well in any country. The newly minted Giovanni Henricksen (Steven Van Zandt) sees little need to hack it as a straight citizen in his new home. Well versed in the art of getting connected, he attempts to cut his regular corners at every turn. First, he unsuccessfully bribes (and ultimately blackmails) upright local Immigration official Jan Johansen (Fridtjov Såheim) into bar ownership. Then he jumps feet-first into violating Norwegian law by shooting a wolf to woo wide-eyed local teacher Sigrid Haugli (Marian Saastad Ottesen). It isn’t long before Giovanni’s old tricks are earning him plenty of new friends . . . and some suspicious new law enforcement enemies. Both the imperturbable Lillehammer Chief of Police Laila Hovland (Anne Krigsvoll) and her inexperienced Officer Geir Tvedt (Kyrre Hellum) are keen to blame the curious rash of dangerous mishaps on the American newcomer. Lucky Giovanni’s knack for collecting IOU’s from witnesses high and low stops their investigations cold. How long can he and his enthusiastic business partner Torgeir Lien (Trond Fausa Aurvåg) keep the authorities on ice? Frank cannot allow Tommy to establish himself in the neighboring community, but Tommy is unwilling to let Frank dictate to him. 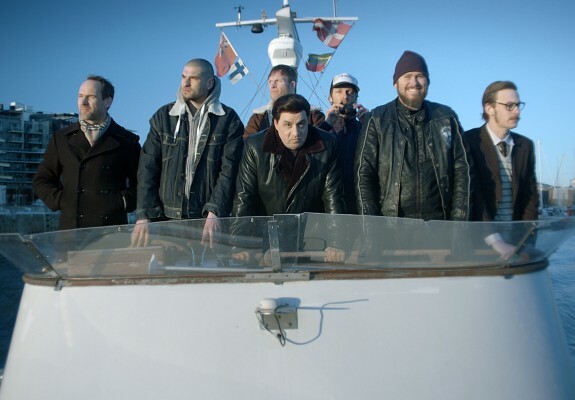 The tone further hardens when Frank and Torgeir meet the latest addition to Tommy’s gang. First aired: November 21, 2014. What do you think? Do you like the Lilyhammer TV show? Do you think it should have been cancelled or renewed for a fourth season? I loved this show, it was really well done. Actors were terrific. Why cancel such a great show? Typical entertainment company hacks. Why would they cancel such a well made, great show? Don’t they know everything little steven touches, turns to gold? I loved this show, and wish there was a fourth season. I’d say a fabulous show that is instructive in practicalities. It’s madness to cancel a show like this! It was the best thing on TV. Uter madness!